Part of a series of more than 20 running events hosted throughout the year around Connecticut and Rhode Island by the Hartford Marathon Foundation, the Amica Iron Horse Half Marathon, 10K & 5K race is set for its 17th annual running this year, an event that draws more than 2,000 runners each spring. Runners start the double-loop course for the race in Simsbury, a rural suburb of the nearby state capital Hartford, where historic farmhouses, rolling country roads and huge, green farm fields marked off by wire and wooden fenceposts lie just outside this historic town’s downtown area. 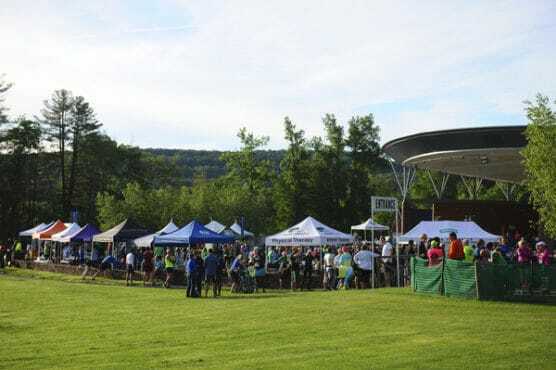 The course takes runners through mostly rural terrain, over the country roads and paved running, walking and biking paths that meander alongside and across the Farmington River here. 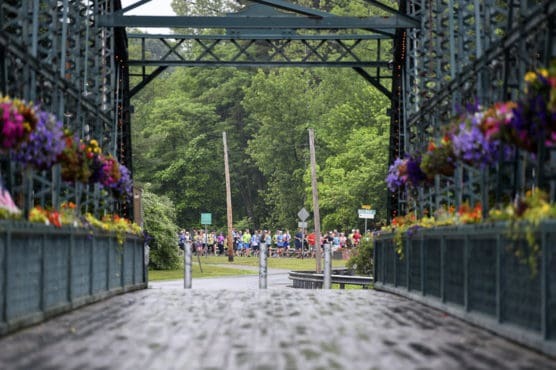 The half marathon — like the 10K and 5K races, which are run simultaneously with the 13.1-mile race — starts off in Simsbury on Drake Hill Road, and from there takes runners first by Drake Hill Park and then over the bridge that crosses the Farmington River onto Riverside Road. There, runners turn right and head south, making their way down to East Wealogue Street, where they turn left and head north until they meet up with Terry S. Plain Street. The next stretch of the race features some of its most scenic stretches, alternating between tree-lined roadways and wide-open farm fields — and are no doubt part of the reason why famed Runner’s World columnist Bart Yasso selected the Iron Horse Half Marathon a few years back as one of his favorite races across the country. Runners will make their way around a counter-clockwise loop around Pharos Farm and then back south again along Terry S. Plain Road, all the way back down to Riverside Road, where they’ll cross the bridge back over the river and head through Simsbury and past the starting line a second time. The course then heads north through town, beginning the second of the two loops that take runners back across the Farmington River again and over to Terry S. Plain Road again, which they’ll follow this time all the way back into Simsbury for the race finish line. Located in the central northern Connecticut, about 12 miles northwest of Hartford and roughly 130 miles northeast of New York City, Simsbury typically sees mild to moderately warm weather in June, a month that has brought record temperatures as low as 37 degrees (in 1986) and as high as 101 degrees (in 1952). See the race route map for the Iron Horse Half Marathon here. 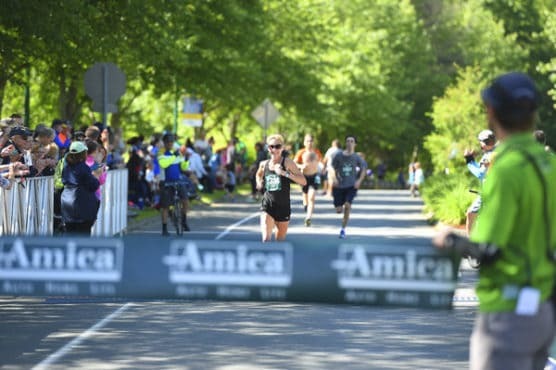 To reserve your spot in the 2019 running of Simsbury’s Amica Iron Horse Half Marathon, 10K or 5K race, register online at ChronoTrack.com here. 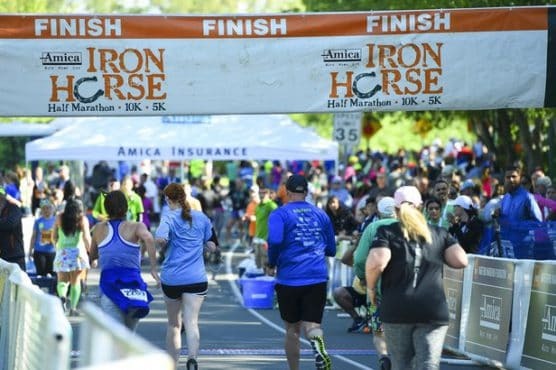 Ever run in the Amica Iron Horse Half Marathon? Share your impressions here, or post your review in the Comments below.